How much is your time worth? What could you do with a hundred or more extra hours per year? Imagine 3 more full work weeks added to each year for every employee in your organization! Email is an amazing and essential part of our lives and businesses. However, for many people, it can become a very large time sink. Emails popping in every few minutes, distractions breaking our focus, huge libraries of old messages to review and dig though, the email stream just keeps coming, and we just keep reacting to it day after day, even on vacation. This all goes to the detriment of getting real work done. In this article, I discuss a number of items that can easily give you back 30 minutes or more each day of productive time. That’s 2+ hours per week or 100+ hours per year. The more serious your “email problem”, the more gain there is to be had. Email overflow can be a problem, but used wisely, you can take control and make email work for you. The fewer email messages that you receive, the less time you spend reading email and the fewer interruptions break your focused work. Invest in a really good spam filter … one that eliminates most spam messages and has few false positives (marking messages as spam that are not really spam). The time savings far offsets the cost. Do not white list your company domain name … on the surface, the would also make inter-company email be treated as not spam (and it does), but it opens the door to lots of real spam … as spammers often send email forged to appear to be from addresses in your domain, and white listing that domain just lets them all right in. Have the Spam messages saved to a separate location … don’t just “tag” it as spam and have it delivered to your INBOX, as that does nothing to help with the time sink and aggravation involved. Unless it is your job to monitor an email INBOX for updates and alerts in real time, don’t stare at your INBOX or check your email every time that your email program alerts you of a new message. Every time you check your email, your brain has to do a context switch from whatever you were working on, to pay attention to email. When you are done, you have to context switch back. No matter how much you think you can “multitask”, studies have shown that this kind of context switching significantly slows us down on all things that we are working on. The longer you can focus on a task without interruption, the more work you will get done and in less time. Have your emil program check your email much less frequently, e.g. every 15 minutes instead of every minute. At least in this case, you can have 15 minutes to work and then a few minutes to see what happened … less context switching … more efficient. Don’t feel like you have to read every message that comes in when it comes in. If you are not in charge of a critical email box, then things can wait a few minutes or more. If something is really important, you are probably likely to get called or texted or notified by some other means. Oh — don’t forget, don’t have your phone set to beep at you every time a new email arrives either! Institute a policy amongst your coworkers where by every email has a very descriptive subject. This makes it simpler and faster to find messages in your email folders and to tell at a glance what a message is about. As a result, you save time by not needing to search as much and by not needing to read through messages to see what they are really about. This kind of time savings really adds up. You and a coworker are writing back and forth via email. The “Subject” of all of these messages is the same … the original subject of the original email. Now, you need to go back and find something later … and you have 10 or more messages all with the same subject. you have to search or read through these to find the right information. It is much better if you have a policy whereby when the content of the email messages, you always change the subject of the message to match. It may take a little getting used to, but it will make email much more efficient, both while you are having the conversation and later when you need to look back and these messages to find something. This one is like pulling teeth for some people. Try to keep your email INBOX as small as possible. Ideally, keep only the most important 10-20 email messages in there, those relating to things that you need to work on today or in the immediate future. The larger your INBOX is the more time you spend reading and re-reading the list of messages … if they are just sitting there taking up space, why keep re-reading? If you are not even bothering to review them, why leave them there? A small inbox has a distinctly positive psychological impact. Its like a clean house vs a dirty house. With a clean Inbox, you can feel like things are getting done. With an ever growing Inbox, you may feel like you have an impossible task ahead of you … managing all these messages. That task never goes away. How do I keep my Inbox Small? File it. If the message is worth keeping, but you do not need it now, file it into another email folder. You can have 100s of folders (like the file folders on your desk). Use these to organize your email message history so that you can find your messages quickly later. These messages should not just sit in your Inbox staring you in the face. If you don’t need it soon … file it. Defer It. If the messages are related to something that needs to be done at a specific time in the future (e.g. you need them in a week for a task that you need to do then, but not until then), you can “Defer” these messages. Deferring messages makes them “go away” and “come back” to your INBOX after some interval or at a set date and time. 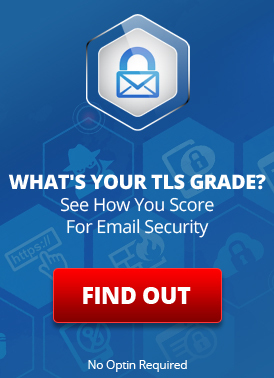 Some email providers offer email deferral as a feature … if yours does, take advantage of it. Can You Live Without It? If you can live without an email message … delete it. There is no reason to keep your entire email history hanging around, especially in your Inbox. If you later find that you actually do need that message, you can still retrieve it if you have an email archival system keeping permanent copies of all email messages (which is good insurance for any organization). If you don’t think it’s likely you will need the message again … delete it. Track long term tasks outside of your Inbox. An Inbox is good for tracking things that need to be done “soon”. It is not an efficient place to track all tasks …. as it becomes impractical to keep track of them all and to prioritize them. If you find yourself in this situation, you should use external task management systems and transfer your emails to them for tracking. For developers, Atlassian JIRA is an awesome tool for this. For smaller sets of tasks, any task management system will work. Transfer the email content to your task management system, then file or delete the email. Tag and Color Code: If your provider supports it, you can color code and tag the messages in your Inbox so that you can see at a glance (without reading) what tasks or categories or priorities they relate to. Touch Each Message Once: If a message is a task … avoid working on it part way and coming back later and finishing it. This causes lost of extra context switching in your brain, lots of extra reading and re-reading of the message and generally makes the task take much longer than if you “just do it” all at once. If you look at a message and decide to do it later, use tags, color codes, and annotations (below) to help you track when and what should be done and thus to move on and stop thinking about the issue. Annotate: If your provider supports it, annotate email messages with notes and comments so that when you come back to them later, you can quickly see what the gist is, what work you may have already done, and remember what your previous thoughts were. Annotations jump start your work and allow you to keep a journal of work done. Pick up to 6 things that you want to get done during the day. Tag/Color code them so that you can identify them easily. Do the most important tasks first. For tasks that will take a long time, plan ahead how much time you intend to spend on the task. Leave time unplanned so that you can handle other things that arise and things that take longer than expected. If your Inbox has a large number of tasks, the tendency is to pick and choose what you feel like doing. This often results in easier tasks being done first and the harder and more important things being deferred until later … when we end up being more tired or having less time. By spending a little time prioritizing and then sticking to it, you save time and get the most important things done. Can you add notes to your email messages? Watch It! Be notified of changes to WebAide Contacts, Calendars, Blog posts, Document storage, Tasks, etc. This entry was posted on Friday, July 12th, 2013 at 10:25 am	and is filed under Business Solutions, LuxSci Library: The Technical Side of Email. You can skip to the end and leave a response. Pinging is currently not allowed.